Bonanza Satrangi 2014 new arrivals for women have been revealed today. This is actually a collection for which Bonanza has partnered with Always Karo Yaqeen, a mini series by Always. Only a few dresses are included in the collection but they are really good.The Bonanza satrangi collection 2014 has included ready to wear clothes as well as loose fabrics. The company has released several nice designs in Bonanza spring summer collection 2014 launched under the banner of Satrangi. So, do check out Bonanza Satrangi 2014 new arrivals for women. Bonanza Garments is a known name among clothing brands present in Pakistan. It is actually a very old and well-established clothing brand catering to the clothing needs of men and women both. It has released a lot of great collections in the past few years alone. It releases a wide variety of clothes in the category of menswear and women’s wear both. 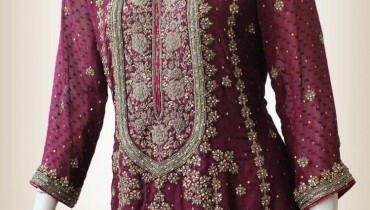 These include ready to wear clothes for men and women, fabrics for women, kurtas for men and much more. 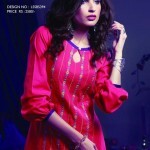 It has its clothing stores in all the major cities of Pakistan and has now set up online shopping facility also. Bonanza Satrangi 2014 new arrivals for women can be seen over here. The photos featuring top model Amna Ilyas wearing the clothes in this collection can be seen over here. Have a look at the collection and find out more about it through Facebook. You can go to the page of Bonanza on Facebook and find out more about it there. You should also connect with the brand through its page on Facebook. You can also get to know the prices and other details of Bonanza Satrangi 2014 new arrivals for women through Facebook and through these pictures.